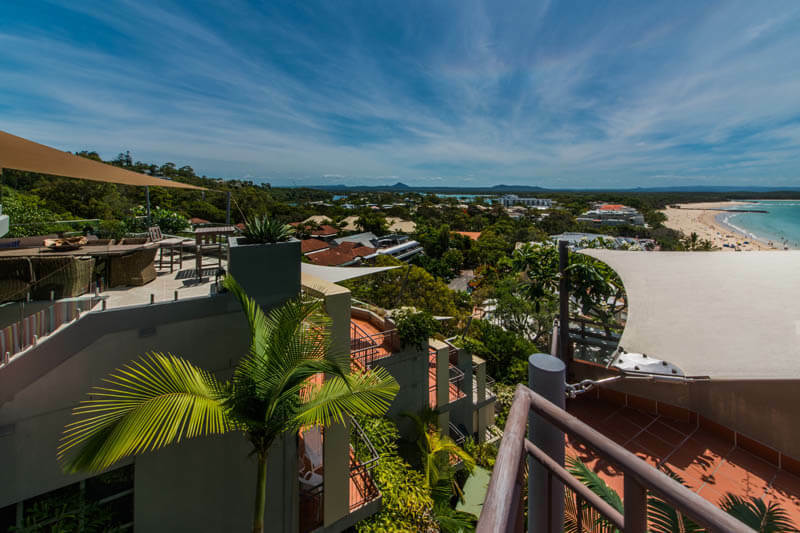 This amazing four-bedroom apartment set high within the building offers simply the most desirable views in Noosa. 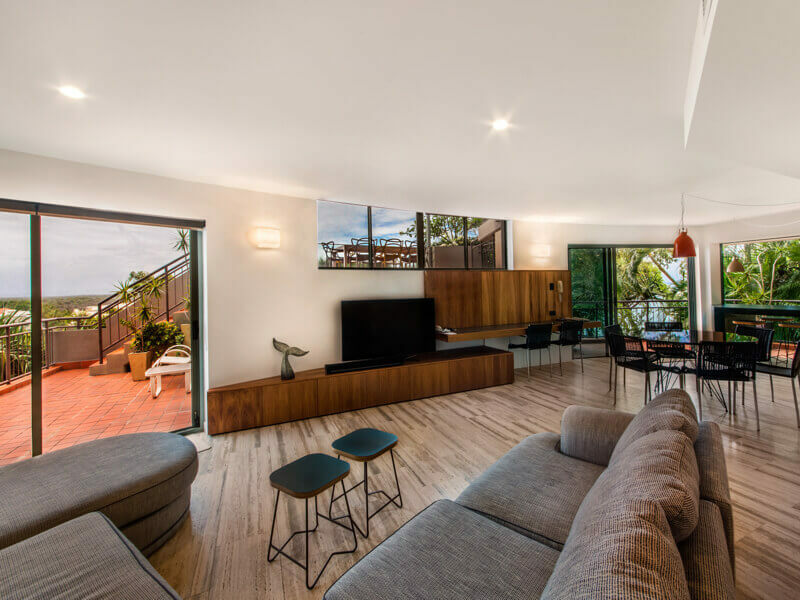 Recently undergoing a complete renovation from a leading Brisbane architect, the apartment is most accommodating for large families and friends sleeping up to ten guests at a time. 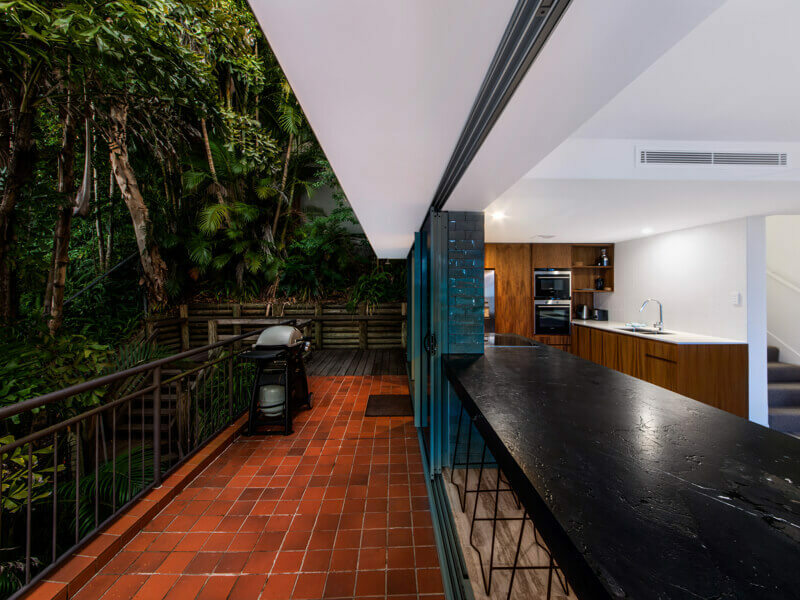 Featuring a truly unique alfresco and kitchen experience, you slide back the glass doors adjacent to the built-in kitchen bench which converts into a two-sided dining experience allowing you to seat your guests both inside an out onto the deck, and just down from this is the weber BBQ. There are also three other deck areas to entertain or simply relax and enjoy. The lounge area features a large flat screen television, dvd player and sonos sound system. With this apartment being multi levels you wind your way up to the four bedrooms. 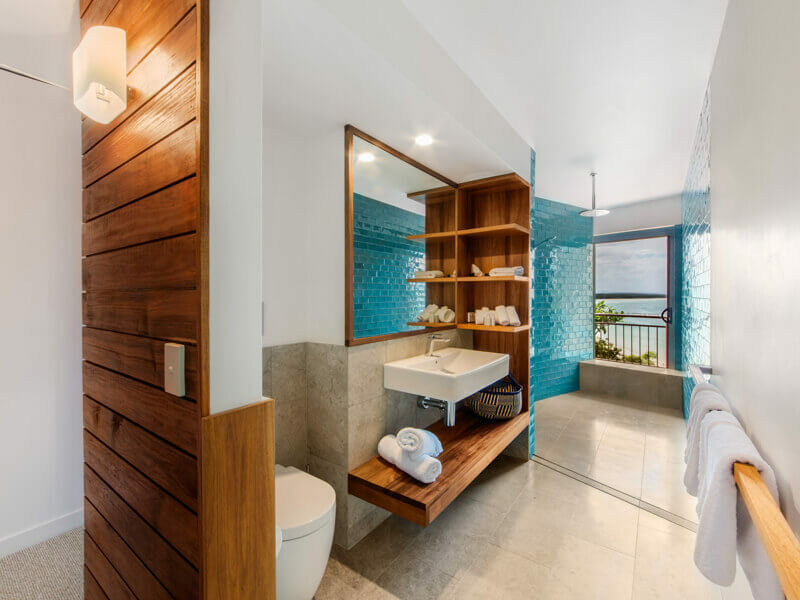 The master bedroom offers a king size bed, private deck and walk in shower with views of the beach. 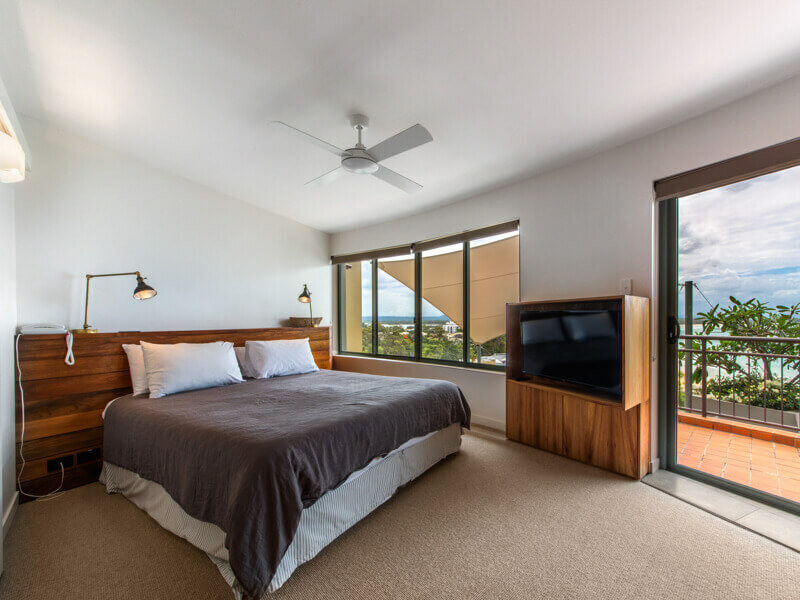 The second bedroom features a queen size bed and two bunk beds within, the third and fourth bedrooms offer four single beds, two bathrooms and a full laundry. The apartment features fully ducted air conditioning throughout. Apartment 9 is positioned high up on the left side of the building as it cascades up the hill. There is access via stairs as well as a lift and inclinator that will take you directly to the door. 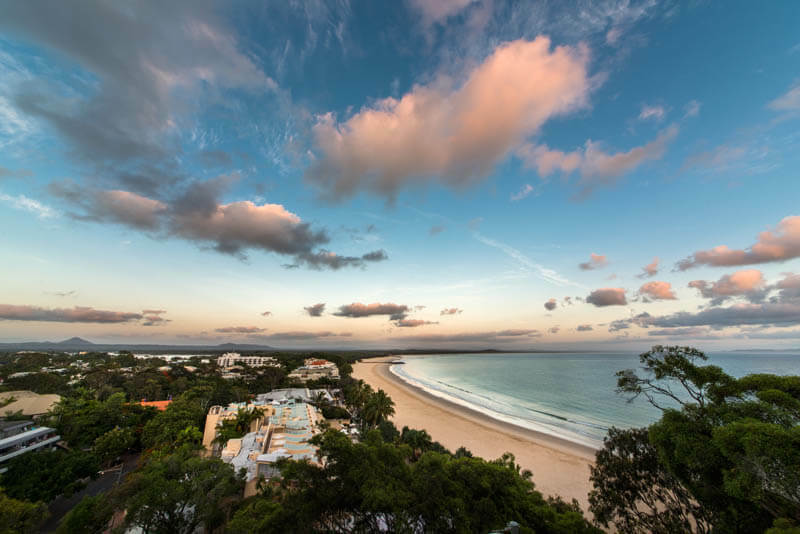 “My family of 4 enjoyed a lovely 4 night break in Apartment number 9 . Everything was clean and tidy. The apartment was newly renovated and so comfortable. It sleeps 10 and is so spacious. The views and out door spaces are 2nd to none on Hastings Street.